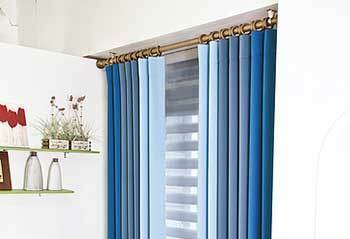 To know about blinds & shades! Just push a button and our custom made motorized roller shades will respond! 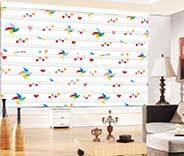 We deliver unbeatable customer service, from personal consultation to delivering your new blinds. All our blinds come with a manufacturer warranty for 5 years. Your taste, needs and requirements will be taken into account on every order. We pride ourselves on providing durable window coverings and accessories. There is no window our custom blinds and shades can’t be matched to. Read more here! Want to add beautiful covers to your kitchen or office windows? Consider layered shades, which offer an excellent adjustable range of light filtering options using a combination of sheer and opaque fabric stripes. A compromise between typical blinds and shades designs, sheer shades maximize your control, privacy and ambiance all at once. Learn about our own sheer shades on this product page. Wouldn’t it be great if apart from filtering sunlight your window coverings could also save you some money on energy spending? Well, with cellular shades, that exactly what you get. Read more here. Roman shades are shaped into sensual pleated curves that stack atop one another as they open. Learn what you can do with ours on the product page at this link. Roller shades are the most flexible style of window coverings, and can fit any setting. Our products come in all colors and designs, as well as sizes. Click here for more information. Automate your window treatments and control them with a remote or your smartphone. How great are motorized shades exactly? Find out here. Blinds and shades for commercial establishments need to be made of high quality materials so they’re able to last a long time. If you’re looking for new window treatments for your business, contacting us is the right choice. Learn more here. If you live in the Los Angeles area, be it between Agoura Hills or Westlake Village, it’s important that your home or business’ windows are properly covered. Not only does it improve energy efficiency and protect furniture, but they bring the room together as well to create an aesthetically pleasing space. Malibu Blinds & Shades is here with our vast variety of styles so you can find the perfect fit for any area with ease. With our free consultations and color samplings you’ll have no problem finding just the right set for your needs. Thanks to the broad range of window coverings available, our company is able to assist both homeowners and companies in the Thousand Oaks area to find the best type of blinds or shades for their various needs. For businesses that want something efficient, effective, and modest to avoid distraction there are aluminum or vinyl blinds. As for the home, whether you want the customizability of roller shades, or the elegance of Roman ones, they’re all available for you to take a look at and decide for yourself. With Malibu Blinds & Shades’ assistance it will be a breeze. Windows without coverings are not only frustrating thanks to allowing glare on television and phone screens, but they’re detrimental to your furniture as well. Rather than allow the sun’s presence to bleach the colors from books and otherwise, keep it out in style with our beautiful blinds and shades. They help to reduce energy spending as well by insulating heat in during the colder months and blocking sun that would otherwise warm up your home in the hotter months. Wherever you reside in the Calabasas area, it’s a must! 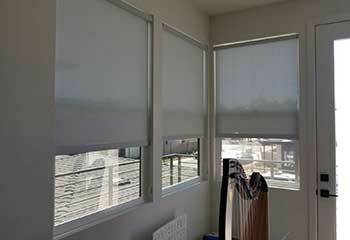 Malibu Blinds & Shades offers motorized shades that will allow you to open and close them with ease! This handy feature has numerous benefits, from allowing you to have a cover on high windows that aren’t able to have manual strings, to giving the impression that you’re home by turning on timers even when you’re far away to improve security. Some are smart home compatible and can even better improve energy efficiency! They move quietly and work easily so you won’t have to worry about those annoying strings any longer. From Simi Valley to and Santa Monica, our experts are here to help! Look no further than our company for quality blinds! When it comes to window treatments, we know our stuff! 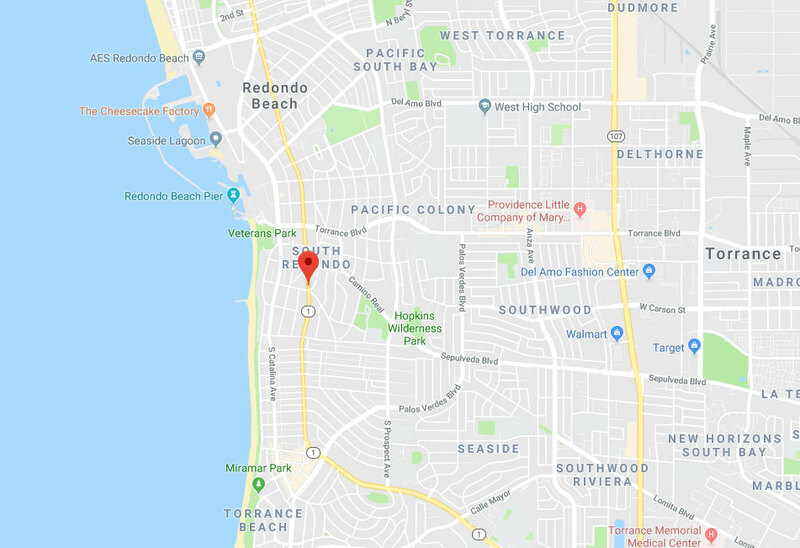 We've been serving the needs of Malibu’s customers for years, and have earned a reputation as one of the leading suppliers of blinds and shades in the area. Our company offers an amazing range, so you can be sure you’ll find the perfect blinds, no matter the style of your home or office decor. Whether you’re looking for Layered Shades, Cellular Shades, or Sheer Shades, our team of skilled consultants is ready to help you. Schedule an appointment with us today! Check out the project summaries below. 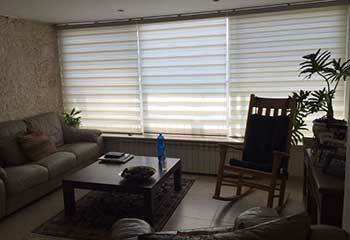 This customer wanted shades that will reduce the damaging effect of UV light on the furniture. Click here to find out more. 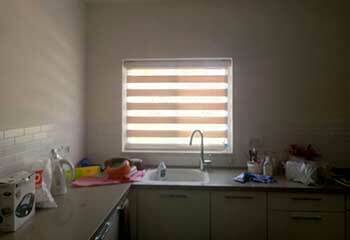 A broken kitchen window treatment left the owner needing a new vinyl mini-blind set. Read about the project here. This accountant wanted some nice looking drapes for his office. 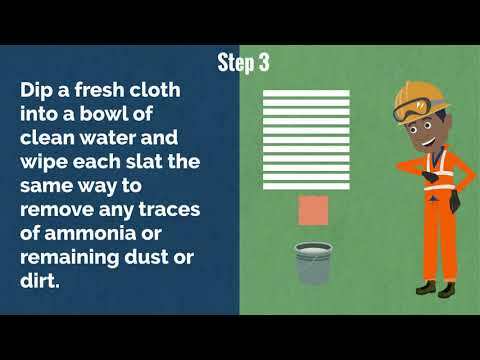 Read our solution here. A house with temperature regulation issues needed some extra widow treatments. Click here to learn about our recent automatic shade installation. You guys did a great job installing my new cellular shades. They make such a big difference in the way my home looks, I love it! I love that my sheer cellular shades let the light in but keep our home private and warm. Thanks for helping us decide and baring through all our questions. Your service was impeccable. I had always wanted bamboo shades, so I was thrilled that you said you had some during our consultation. It was great working with you. Thanks for the fast installation. IMPROVE THE DÉCOR OF YOUR HOME OR OFFICE! Our professionals are here to assist you with finding the perfect match of window coverings for your home or business quickly and easily! Between free consultations and color samplings, you’ll have no trouble finding exactly what you need for any room. If you’d like to find out more information about our products, take a look at our site. When you need the right window coverings for your home or office, think of us first. Just leave your contact information below and an expert will return your call soon! Our design team is known for guaranteed customer satisfaction, outstanding service and competitive pricing. 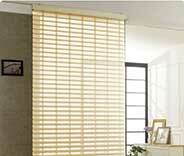 For perfect blinds or shades for your home or office, give our friendly experts a call. What can we interest you with? Thank you for choosing Malibu Blinds & Shades! Feel free to browse our website for more useful information until our appointment!